Betty White fans want the Golden Girl to host "Saturday Night Live." Betty White's Super Bowl Snickers' commercial certainly proves that the six-time Emmy winner and "Golden Girls" alumna is tough enough to compete with the younger comedy crowd. But is she funny enough for "Saturday Night Live"? Her fans certainly think so. David Mathews, a big Betty fan and creator of the Betty White Facebook Fan Page, sent a letter to "SNL" creator Lorne Michaels at the end of January when the fan page reached 5,000 followers, according to a message posted to the fan page's discussion board. "My ask of you is simple," he wrote to Michaels. "What would it take to get you to invite Betty White to be a guest host on SNL? She is brilliant, funny, witty, and a comedic genius and legend. I have little doubt that it would be a ratings hit." 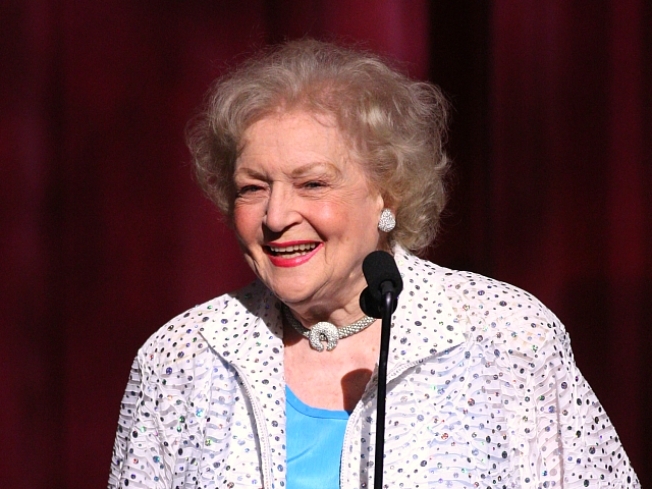 Since then, the Facebook fan page Mathews created titled, "Betty White to Host SNL (please?)!" has rallied over 105,000 followers (and counting… including several AccessHollywood.com staff members) since last week, pleading to executives to allow her to host "Saturday Night Live." "The answer to all questions in the universe is Betty White, how to fix any tv show, how to ENSURE an amazing movie that people will want to see, what is 2 + 2 …etc. The list is endless, the answer is Betty White…." one fan posted. Between the wall posts and the discussion boards full of adoration, fans seem to agree that the 88-year-old television veteran could teach the young stars a thing or two. "Oh my gosh…. Betty White…the next host of SNL…I would absolutely watch that episode! The female version of Chris Farley…She is the NEW 50!!!!" another fan wrote on the board. Clearly, the fans are on board. Are the producers of "SNL"? Access has reached out to reps for Betty and "Saturday Night Live" for comment.